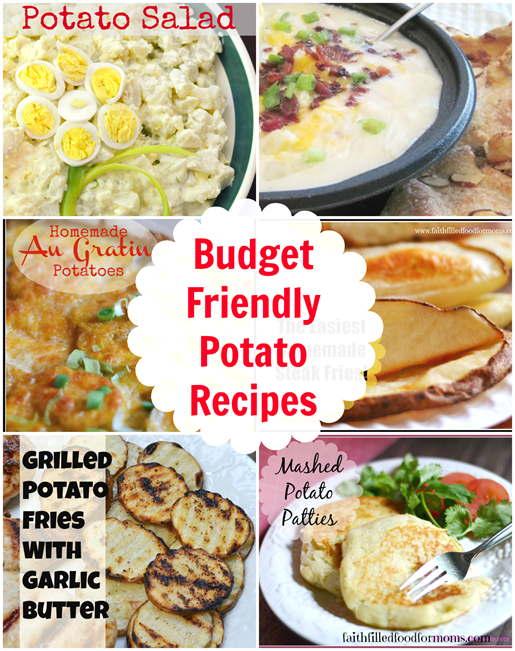 I’m so sorry I haven’t posted a recipe for a while! We have been oooh so busy. I know…like when aren’t we. We’ve been making super quick meals that are super easy on…ME! Like this Yummy Cheesy Hash Brown Potato Casserole! 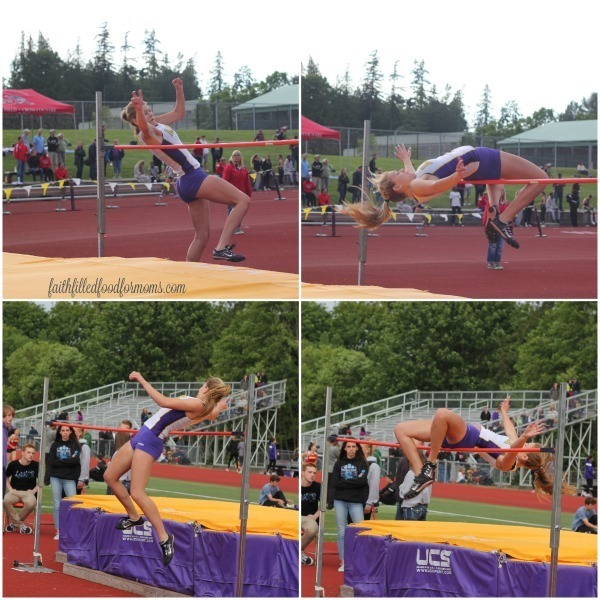 Then my 17 1/2 year old went to State for High Jump for Track and placed 8th in the state of Washington — P.R.E.T.T.Y Cool! 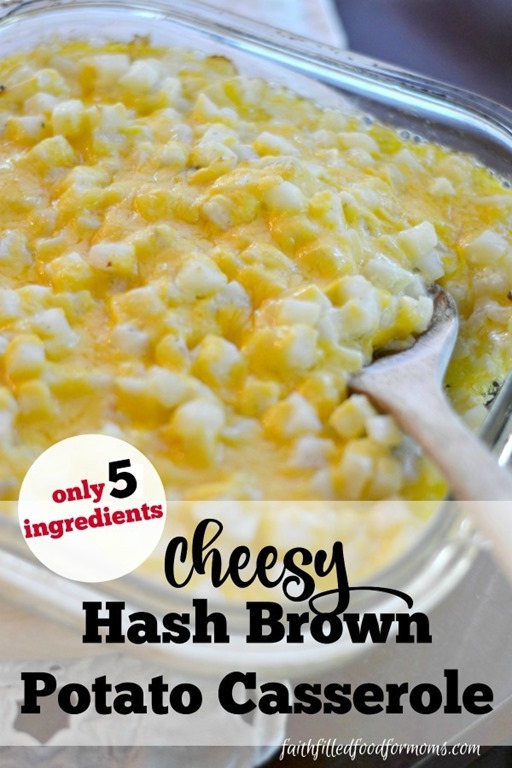 I’ve been making versions of these cheesy hash brown potatoes for years and it’s something my Mom used to make for a get together. So easy! Oh and by the way, you know how I always have the “process” pictures for a recipe? 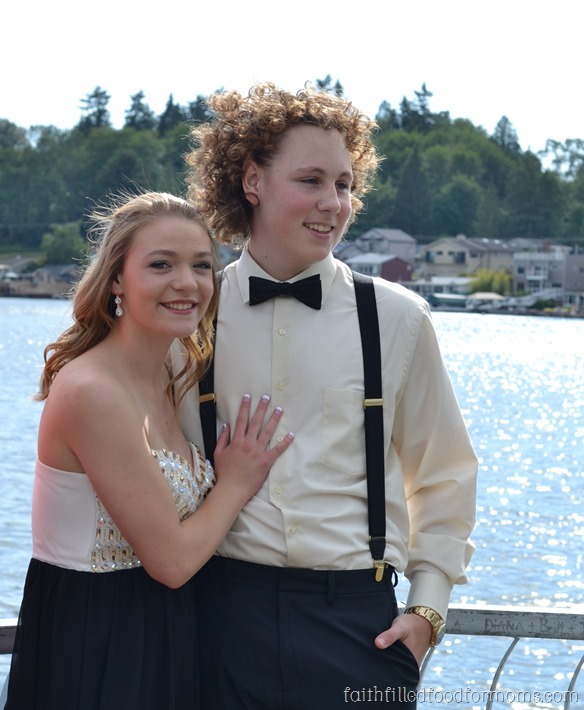 Well I accidentally deleted when I was taking pictures of my daughter for formal in my haste to make room on my cameras memory card. 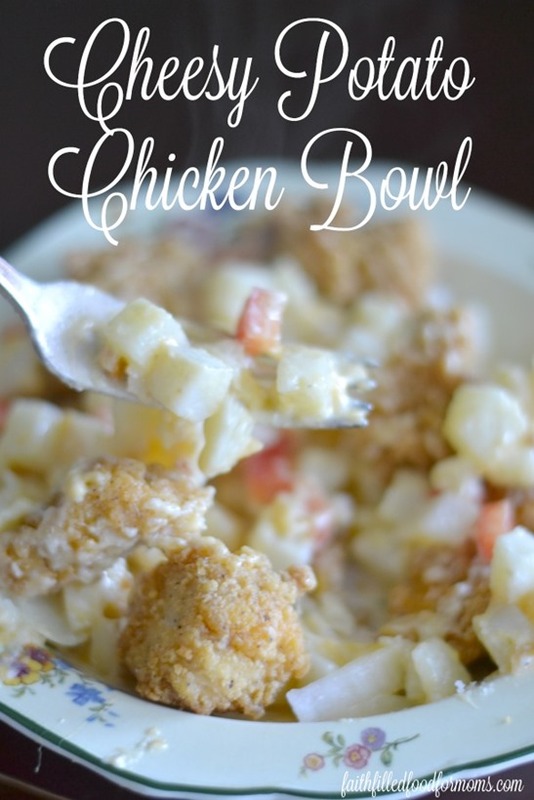 Oh well, this recipe is so easy, it’s pretty much a no brainer! Mix all ingredients together! Umm yep that’s it! If you like you can sprinkle on extra cheese at the end of baking and return to oven for 5 min. All I did was add popcorn chicken and some veggies. Remember I always put veggies on the side for my picky eaters. Then we can add whatever we want! So that’s it my friend! I’ll be super busy for this next month, but hope to get a few recipes up for you! In the meantime…hop over to the recipe page and choose any of the other super easy recipes on the menu! « Super Easy Appetizers on a Stick Perfect for Game Day! Congrats to daughter ..Placing is so wonderful. And other daughter looked beautiful ..
Will try the recipe, sounds really good. Thank you so much Judy! Both events were alot of fun 🙂 Such an easy recipe and can be switched up so many ways..I think you’ll enjoy it. Thanks so much for stopping by!